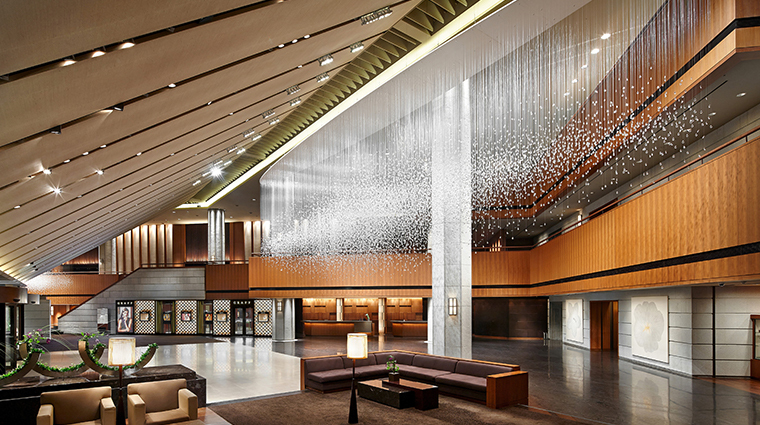 Savor a city-center retreat when you book the Urban Escape offer from Forbes Travel Guide Five-Star The Shilla Seoul. Check into your Executive Grand Deluxe room and enjoy all of its creature comforts (Samsung Smart TVs, Hungarian goose-down bedding) as well as a plethora of perks like access to The Executive Lounge, a $200 food and beverage credit and admission for two to the third-floor Urban Island, home to a mountain-view pool and steamy Finnish sauna. 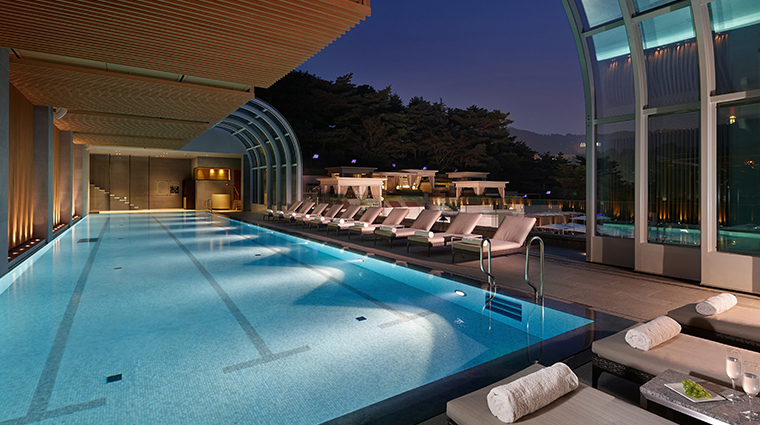 For 1,000 years, “Shilla” referred to an ancient kingdom that dominated the southeast of the Korean peninsula, but now The Shilla Seoul is harnessing the power of its namesake to dominate the luxury market. The massive structure stands behind Seoul’s medieval city walls, abutting the city’s central Namsan Mountain, and is located in the heart of the bustling metropolis of 10 million. 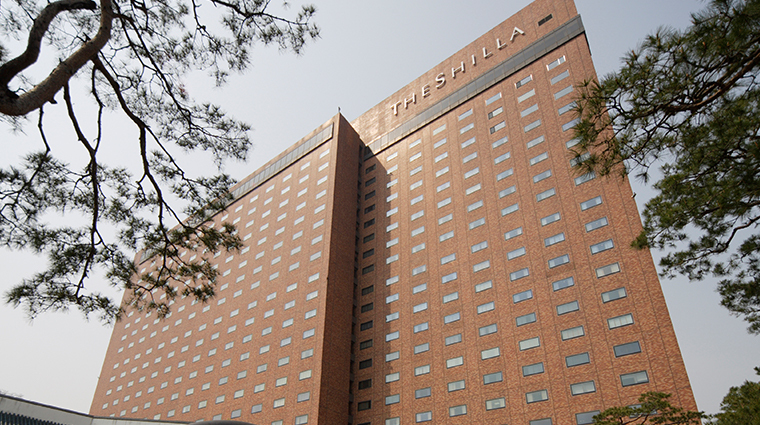 Though it’s the oldest luxury hotel in Seoul, the Samsung-owned Shilla is an up-to-date, modern treasure with world-class amenities. 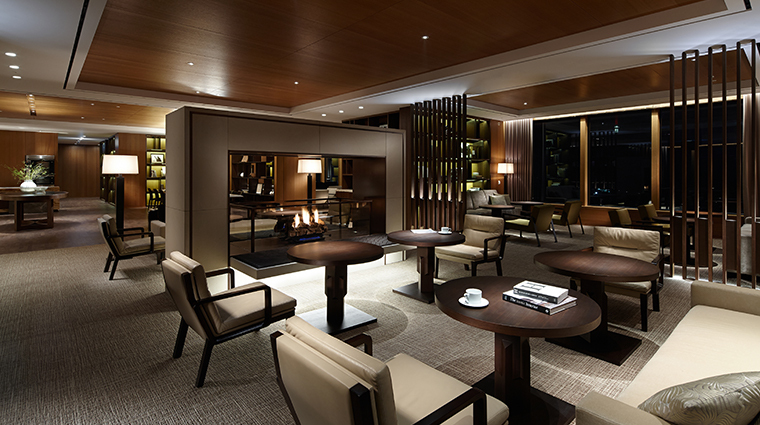 The top floor of The Shilla Seoul is reserved for the Executive Lounge, a space designed by Peter Remedios in a concept that combines a living room, dining room, lounge and library in one. 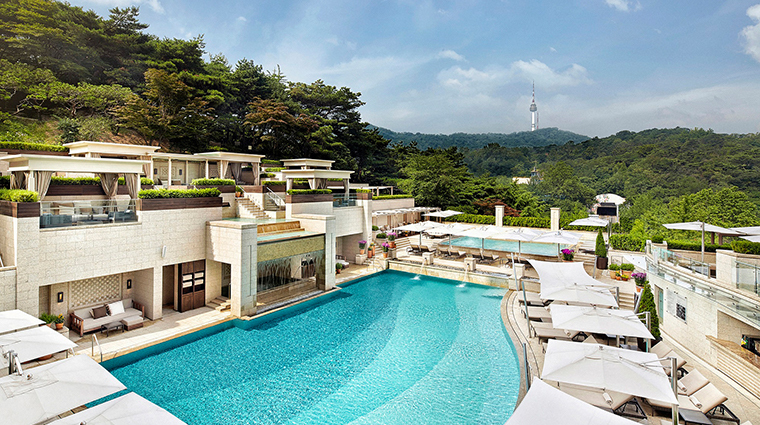 From spring through fall, the Urban Island on the hotel’s third floor is where you can find much of Seoul’s affluent crowd. Set high on the side of the mountain for privacy, it features a large outdoor pool, a children’s pool and the Finland Sauna. 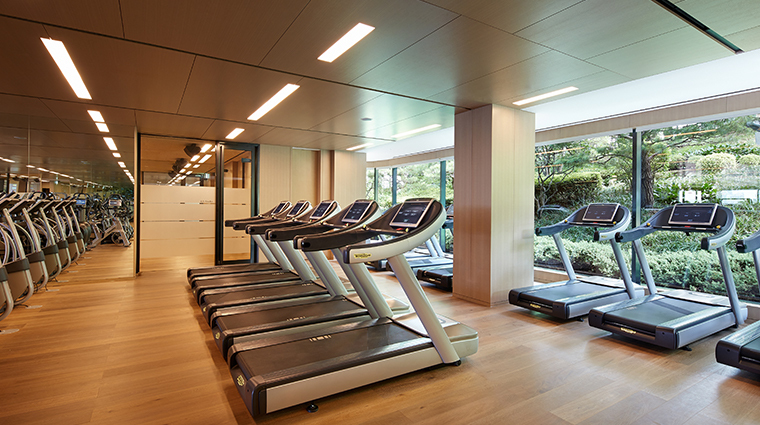 Inside the hotel, there is an indoor pool, a modern gym, a driving range and putting green, and a Japanese-style dry and wet sauna. 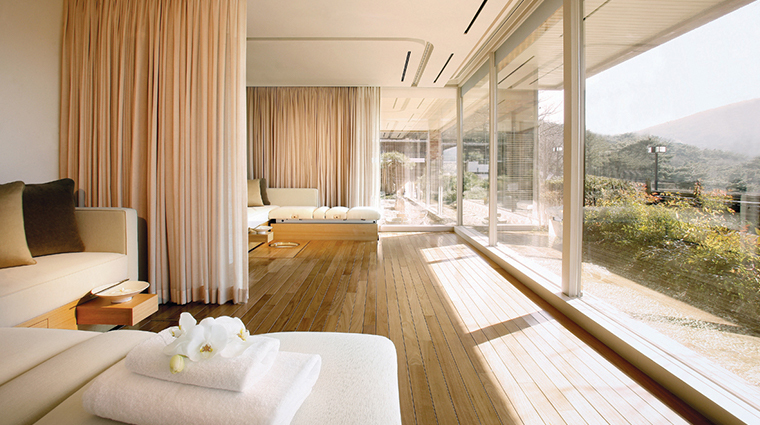 Of course, the jewel in the crown is the Guerlain Spa, Asia’s first. 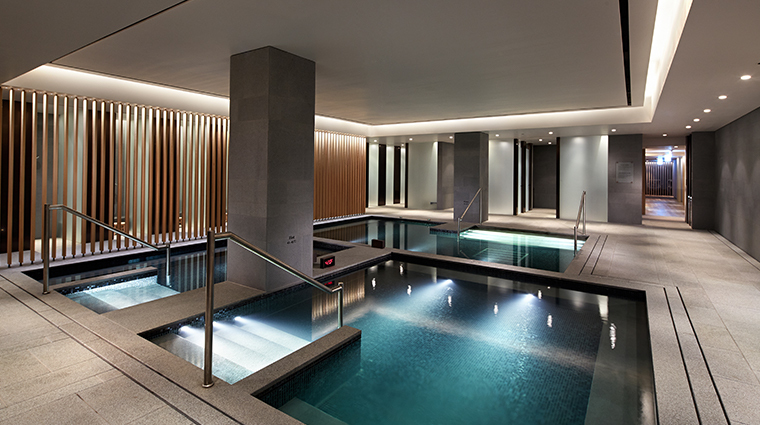 In the basement of the Seoul hotel is the Arcade, a quiet luxury mall with 20 shops, including Akris, Brioni, Graff, Hermes and Valextra. 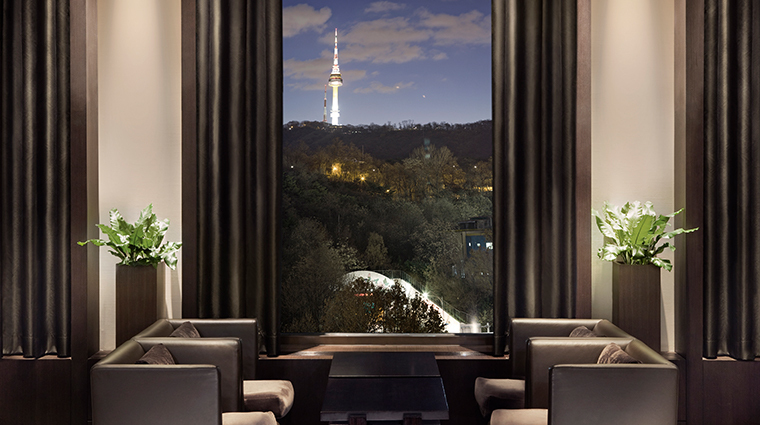 To get to and from the hotel, a free shuttle provides transportation to Dongguk University Subway Station and the Myeong-dong and Dongdaemun neighborhoods. 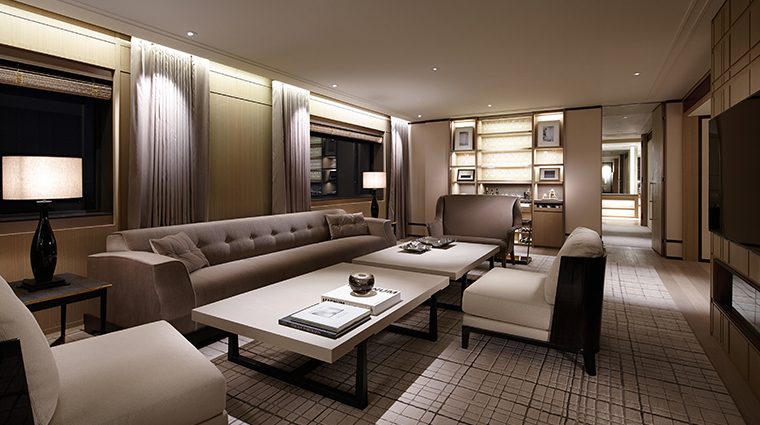 The Shilla Suite is beloved by visiting celebrities by how it mixes hardwood and carpeted floors, and contains a dining room that can seat 10, an enormous living room, a kitchenette and a sauna. 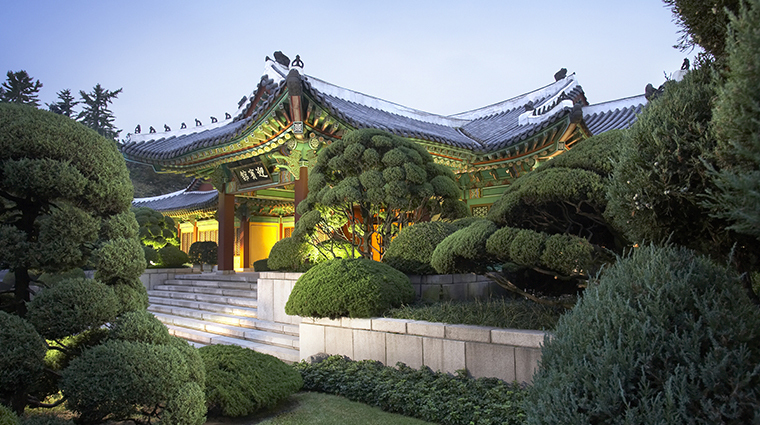 Yeong Bin Gwan is an annex of the Shilla that looks like a 14th-century Korean palace (though it was only built in the 1970s). 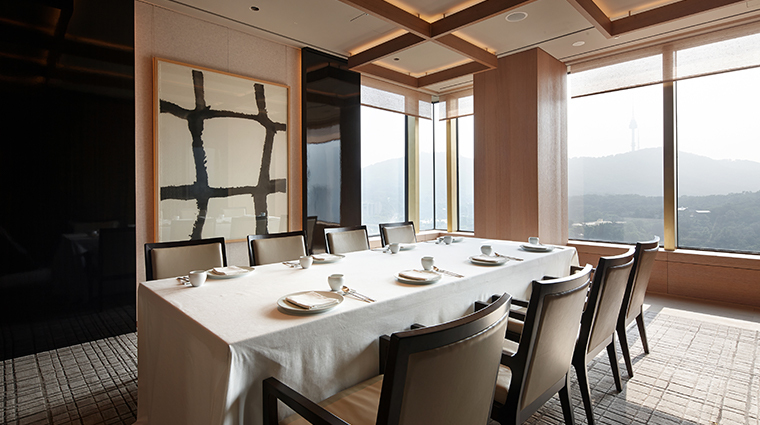 When it isn’t booked for celebrity weddings, the three function rooms are available for any purpose. At night, Urban Island hosts moonlight swimming. 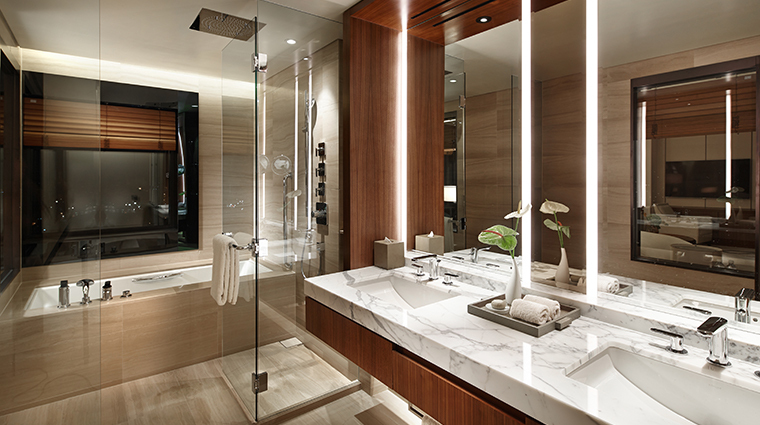 The marble bathrooms, dark wood furnishings — including unique private bars built yacht-style into the walls — and large sumptuous beds offer the ultimate in chic comfort. All rooms come with 55- to 65-inch Samsung Smart TVs, Molton Brown bathroom products and bedding made of 100 percent Hungarian goose down. 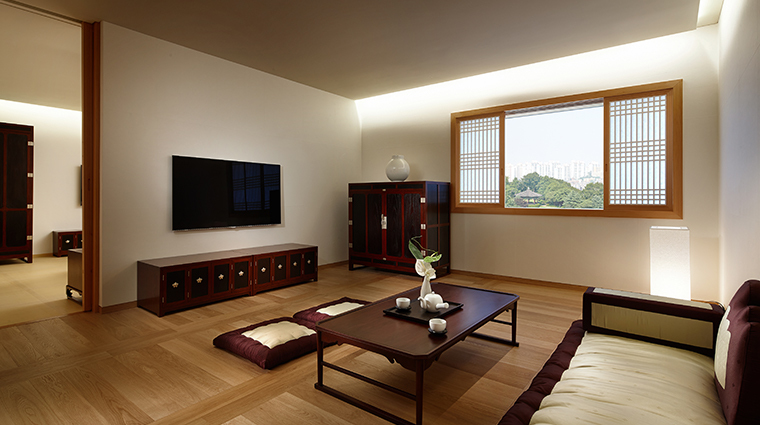 Many of the units also have views of either Namsan Mountain or the city. 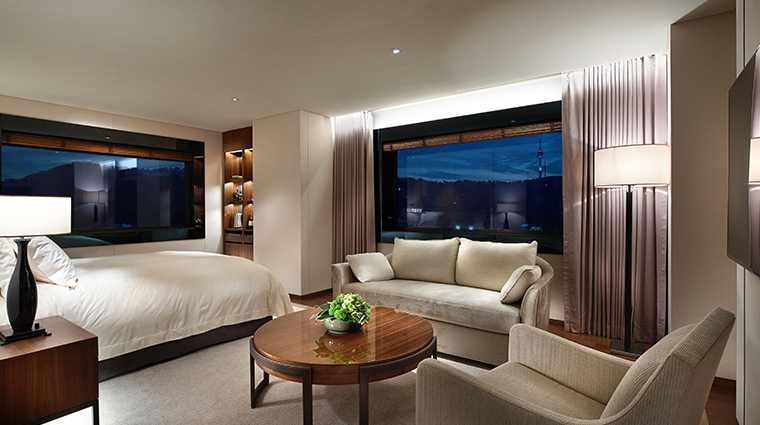 Larger premium lodging kicks the fancy up a notch: the Royal Suite has a fantastic view of Namsan Mountain from the bathtub. 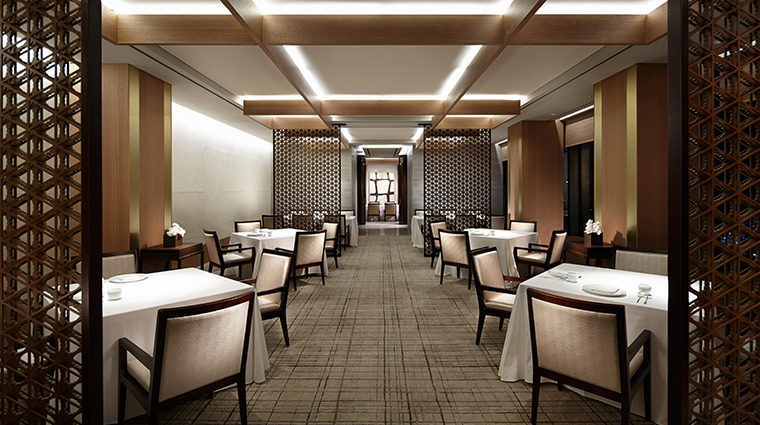 On the top floor you’ll find Continental, a cozy French restaurant, and La Yeon, a well-known Korean establishment. 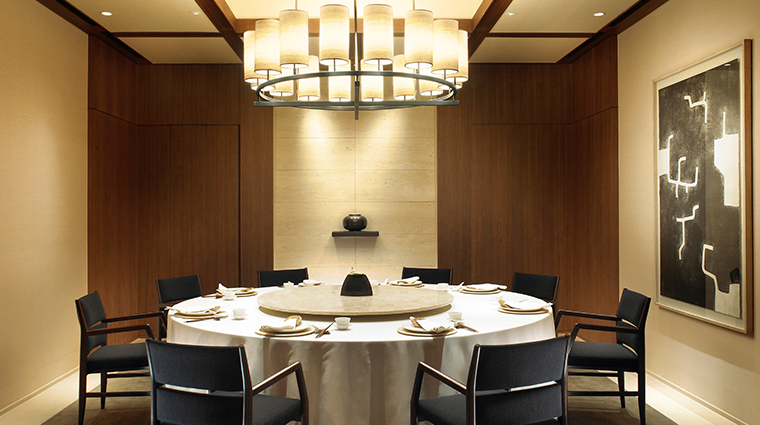 Palsun is one of the most popular Chinese spots in Seoul and it features 11 private dining rooms. 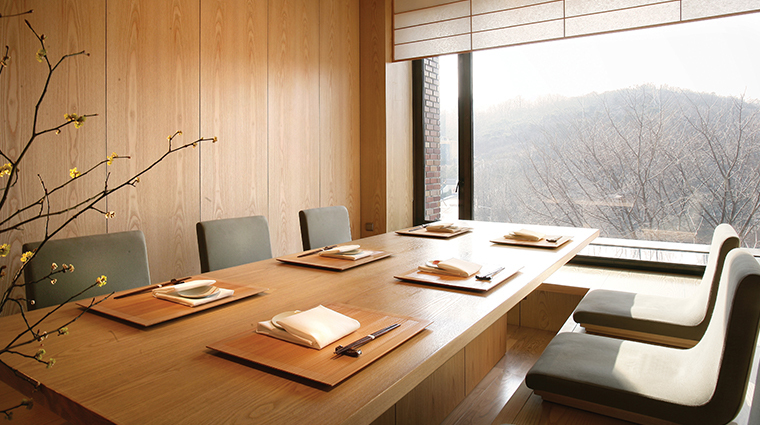 Ariake Japanese restaurant showcases a sushi chef from Japan and a traditional dining room modeled by designer Ueki Kanji. 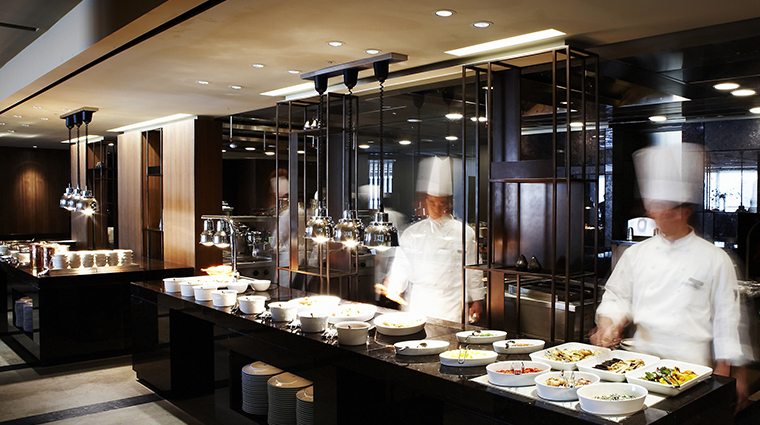 On the lobby level is the largest restaurant in the hotel, the Parkview Buffet. 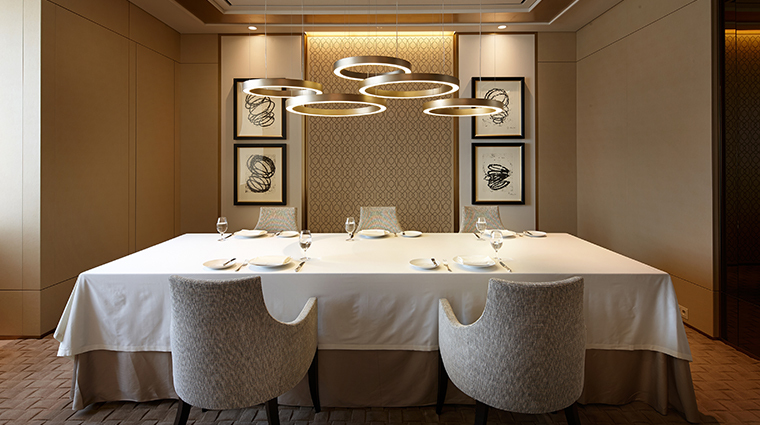 Featuring all day dining, this restaurant is especially famous for its dim sum and special events out in the adjoining park.